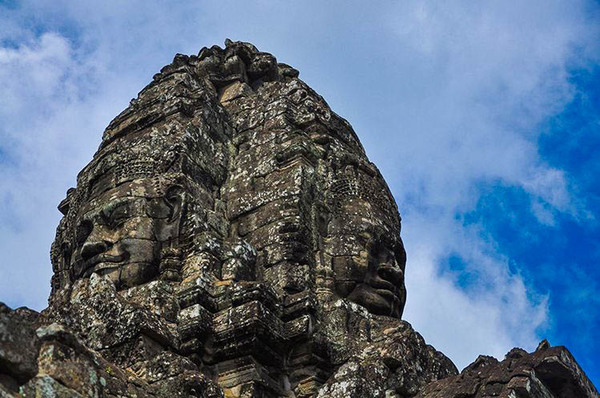 A half-day temple and sunset tour as we explore Angkor Thom (Bayon) and the “Death Gate” at dusk, and learn more about this temple complex rich history. Later, take in the stunning views of the sunset and its surrounding villages from the west corner of the Bayon, away from the usual crowd of tourists. Off road cycle: first stop, it’s off the beaten track with our tour guides as they lead you towards Angkor’s temple complex! Enjoy your ride away from the traffic, and photograph the stunning scenery around you. If you’re lucky, you might be able to spot wildlife such as monkeys, squirrels, and tropical birds! 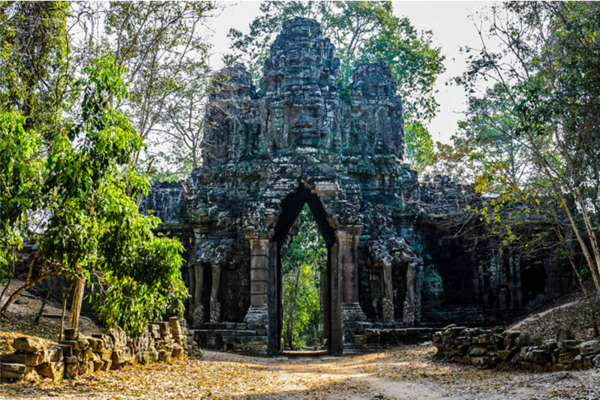 Death Gate: second stop, visitors will be led to the “Death Gate”—a strategically-located part of Angkor’s temple complex that once kept out enemies and intruders. Here, your tour guides will tell you more about the history, power, and influence of the Angkorian Empire. 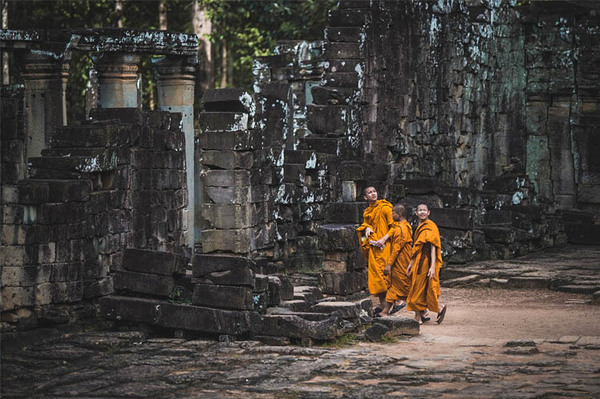 Beyond’s Golden Hour: next Stop, moving over to Angkor Thom (Bayon), visitors now have the opportunity to savor the changing colors of the day. As the brightness and heat of the day die down, watch the changing hues of the evening sky over Angkor Thom’s magnificent 54 face-tours. Hidden Sunset: on your last stop, your guides will lead you to the top of Angkor Thom’s high gate. Relax and unwind as you take in the sights of the temple complex and its surrounding villages—a picture perfect scene to end your tour. As to respect temple visits, please wear a shirt that covers your shoulders and short that covers your knees!